Puzzles that baffle the mind and dazzle the eye. Designed by hand, cut from wood, acrylic, and felt. Because puzzles deserve better. 139 backers pledged $13,978 to help bring this project to life. Baffledazzle has been successfully funded! I can't tell you all how excited I am to make Baffledazzle a reality! If you've just discovered me, you can find Baffledazzle puzzles for sale on Etsy, and follow my puzzle adventures on Tumblr, Twitter, Youtube, and Facebook. As always, you can reach me at rachel@baffledazzle.com. I'd love to hear from you! An adventure in a box. A puzzle worth solving. A mystery to be unfurled. Imagine you wake up tomorrow in a place you’ve never been. Your clothes are dirty and your body aches. You’re filled with a sense of purpose but don’t know what you’re supposed to do. Everyone’s calling you “Indiana” and they look at you with trust in their eyes. The mysteries start pouring in. Questions that have been forgotten by time, boxes that have never been opened, treasures that are assumed to be lost forever. Possibilities stretch out in front of you, calling you. You don’t know all the answers but you know where to find them. You grab your notebooks, dusty hat shadowing your face, and tuck your whip into your belt. If it’s out there, you’ll find it. Wouldn’t that be a wonderful life? The good news is there are so many things to discover, but it’s tough to find those hidden trails that lead you to discoveries worth finding. But what if you could embark on a journey just by opening a box? What if you got a map for buried treasure in the mail? What if the mysteries found you instead? Baffledazzle aims to do exactly that. Deliver puzzles that lead you, like bread crumb trails through a forest, to a new discovery. Every puzzle leads you to something real: a moment in history, a scientific discovery, a hidden culture, a tradition forgotten by time, an ancient joke. So there are endless ways to solve the puzzle. Most of what you need to get to the solution exists outside of the box. Hundreds of wood, acrylic, or felt puzzle pieces start you off. You start to gather clues from the piece shapes and textures, from the images they form, from the words etched into their face. A cryptic printed riddle helps you along; it gives your efforts direction and nudges you back onto the trail when you get lost. Mysteries and gaps in information challenge you to look closely, think deeper, and search for sources that bring you closer to the solution. No two paths to the answer are exactly the same. I’ve developed five puzzle series for this campaign. Each series comes with a number of physical puzzles, a written riddle, a hint in case you get stuck along the way, and the solution, so you can be sure you’ve solved it. The riddles are delivered by a guide that helps you navigate the clues, beautifully illustrated by the wonderful Jerel Dye. The puzzles are cut from solid wood, acrylic, or 100% wool felt. The designs on the face of the puzzles are made by etching into the wood with a laser. I'm offering these series at a significant discount during the campaign. The $99 puzzles will sell for $125 after the campaign and the $49 puzzles will sell for $60. All the details below are spoiler-free! If I were making a movie I wouldn’t give away the ending, so I haven’t revealed everything here. However, I understand if you’d like to know more. I’m happy to reveal anything you’d like to know (including the ending!) over email. I guard that information closely because I think the search is the best part; what’s an adventure without the unknown? Track down a moment in time by piecing together the creations of people that lived it. See what you can learn from their words, their symbols. Dissect the nostalgic story of a shady figure that played an important part at the time, but has since been cast aside. This puzzle is the most intellectually demanding. Solving it may mean translating clues in a foreign language, looking for subtle cues in tone and wording, and searching for a piece of information several different ways. La Plage is cut from quarter-inch thick, solid Blue Pine. The front and back are finished with two coats of clear lacquer and smooth to the touch. 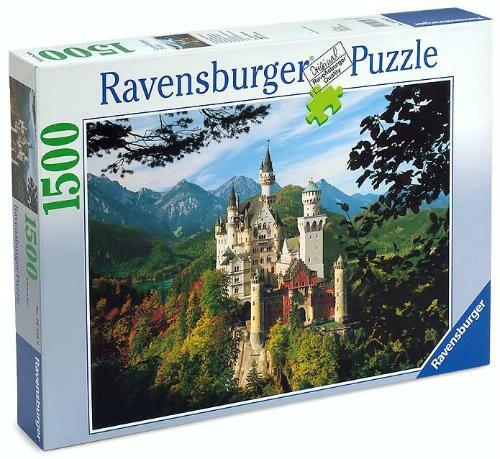 The series contains 4 standalone jigsaw puzzles with a combined footprint of approximately 12 inches by 24 inches (or 30 cm by 61 cm). Admire the beauty of animal patterns and discover why they look the way they do with this stunning series. Sort the subtly different stripes and spots by touch and by sight, organizing them into the thick stripes that wrap around a zebra, the splotchy spots of a giraffe, the curling lines around a tiger’s face, and perhaps some shapes and animals you’ve never seen before. Ozuzo is cut from quarter-inch thick, solid Maple; the dark pieces are stained-black Maple. The front and back are finished with two coats of clear lacquer and smooth to the touch. 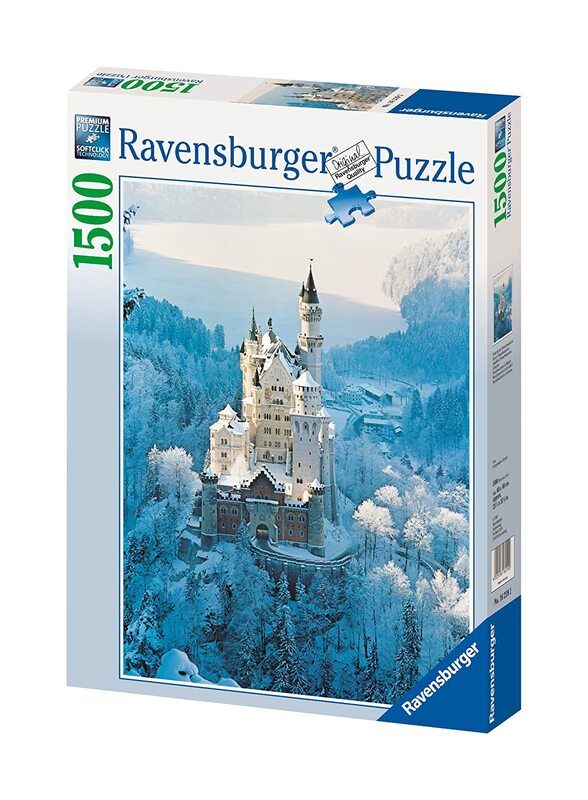 The series contains 14 standalone jigsaw puzzles with a combined footprint of approximately 12 inches by 24 inches (or 30 cm by 61 cm). Please note that I cut all the animals in both black and white wood and swap the pieces to create the contrast. This means half the sets will have, for example, a black zebra with white stripes, and the other half will have a white zebra with black stripes. Sleuth out the identities of seven games from history; some still played today, some forgotten by time. Use visual clues from the game boards, written riddles carved into the puzzles, and even clues hidden in the piece shapes themselves to discover the games’ names and rules. This is a challenging puzzle; solving it successfully may mean searching for clues about foreign or ancient cultures, translating visual clues into searchable phrases, and even a touch of 3D puzzle solving. Cirkusu is cut from quarter-inch thick, solid Cherry. The front and back are finished with two coats of clear lacquer and smooth to the touch. 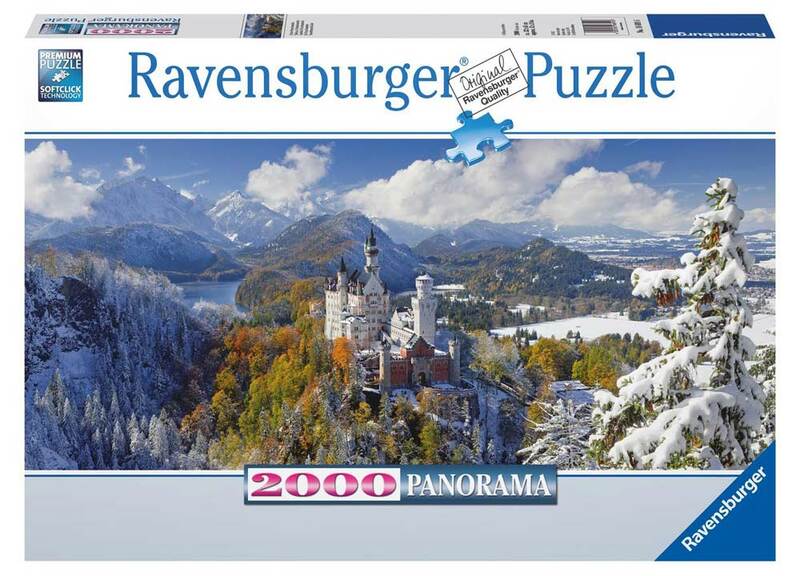 The series contains 7 standalone jigsaw puzzles with a combined footprint of approximately 12 inches by 24 inches (or 30 cm by 61 cm). Additionally! The first Cirkusu Stretch Goal has been unlocked! All Cirkusu sets will now ship with extra acrylic and felt playing pieces for the games. Details here! Slot together the masks of luchadores from the strong Mexican wrestling tradition. Their simplified faces give hints about their characters, whether they are loved or hated by the people, and their attitude in the ring. Use these observations to deduce their identities and pinpoint the narrator’s favorite wrestler. Lucharán is cut from quarter-inch thick, solid stained-red Maple and quarter-inch thick milky-white acrylic. The front and back of the Maple is finished with two coats of clear lacquer and smooth to the touch. The series contains 12 standalone jigsaw puzzles with a combined footprint of approximately 12 inches by 10 inches (or 30 cm by 25 cm). Solve nine riddles, etched around nine empty squares, by sorting through dozens of shapes until you find an object (or objects) that fit the bill. You might use outside resources to solve this puzzle but it is designed to be self-contained. Once the solution pieces are in place, fit all the decoy pieces into the squares as well. There are several correct answers. Biurko is cut from quarter-inch thick, solid stained-red Maple. The front and back of the Maple is finished with two coats of clear lacquer and smooth to the touch. The series contains 12 standalone jigsaw puzzles with a combined footprint of approximately 12 inches by 11 inches (or 30 cm by 28 cm). These simple puzzles make for lovely coasters. Though they appear pretty symmetrical, each spiked ring only fits with the others in one way. Gently rotate each ring until it clicks into place, like cracking a safe. This mini puzzle is great for entertaining idle hands or amusing guests. Thanks to my wonderful backers, the alternative color option stretch goal has been unlocked! In the post-campaign survey, you can choose to receive a your coasters in the style shown below. Alternative Code Breakers color option! Additionally, thanks to a wonderful backer suggestion, you will be able to create your own Code Breakers color options! If you would like a custom color combination, you can select up to 4 different materials (from the 6 shown below) in the post-campaign survey. You will get 1 complete coaster in each color. Every coaster is cut to be identical, so you can mix and match the rings however you like! Original Code Breakers are cut from quarter-inch thick, solid Walnut and 100% wool bright green felt. The alternative color option is cut from quarter-inch thick, solid Blue Pine, "Green Glass" acrylic, 100% wool red-orange felt, and 100% wool Wedgwood blue felt. Each set of Code Breakers includes 4 coasters, each of which is about 4 inches (10 cm) in diameter. The coasters are identical so you can mix up the rings to make your own color patterns. I want to make experiences worth having. I’m not making monster puzzles that will wring you dry. And I’m not just making pretty objects. I start with something that captures my attention: a fact, a story, an image. Something beautiful from history or the world around us. Then I build a maze around it. The puzzle is a means to an end, and that end is discovery. I chose to make these experiences into puzzles because they take time. When you’re working through a puzzle, you turn it over in your mind. You look closely at the edges and texture of the pieces, searching for matches, watching the picture slowly come into focus. All those subtle browns you came to know like family member’s faces, over the hours you spent piecing that cardboard jigsaw together meant nothing. In the end they were just some background trees. Tired and slumping. The photographer that captured that image probably didn’t even notice them. Didn’t consider how much concentration and effort they would take to put together again. Baffledazzle rewards you for that hard work. When it’s all over and you’ve pieced together the last of those squiggly shapes, you discover that the jagged lines you memorized with your fingertips were the brush strokes of an angry artist some 50 years ago. He was filled with purpose, pushing against something larger than he thought he could ever challenge. In the end, you’ve come to know him, his work, his emotions more closely than you ever expected. Or maybe it’s a simpler joy. A pile of little, irregular wooden pieces on your left. You fit them in one by one, watching a giraffe’s striking coat appear from the chaos. You consider how their spots change in size where the back becomes the leg. You think they look like cracked earth, something from another universe. Later on, when the last spot slides into place, the puzzle prompts you to figure out why these animals look the way they do. You glance over at the animal shapes again and begin your search. What was a arrangement of pieces now looks like a purposeful whole. You consider it for what it is: an irreplaceable evolution, a product of its environment, a creature that walks the earth. Or maybe the answer is more elusive. Maybe even after you’ve clicked the pieces into place, you’re not sure of the next step. You stare at them, searching the inscrutable shapes for clues. You let it sit. Days pass and your mind disassembles and reunites the puzzle in idle moments. One night, while you’re brushing your teeth, it suddenly hits you, a phrase you read while searching for the answer. You fumble around for your phone and google it—so obvious now—toothpaste dripping down your chin. There. The name at the top of the page, that’s it. You stride over to the puzzle and confidently open the solution envelope. Well done, you’ve solved it. This means a lot to me. Crafting experiences for others is something I’m drawn to. I’ve been making art for others for as long as I can remember: crude flip books when I was young, dances and performances when I put my ballet training to use as an artist, eventually shifting to creating objects and products that were more sharable, more shapeable. I look for opportunities to intertwine the body and the mind, to create experiences for all of us: physical, mental, and emotional. I chose puzzles as my next step because I think we’ve only seen a fraction of their potential. The act of piecing something together can be heady, challenging, and rewarding, but those emotions are dulled when all you get at the end is a picture of an old castle in the fall, or winter, or spring, or summer, or fall again. There are some interesting explorations happening in the puzzle world, but I think they focus too much on either making a puzzle so hard it will numb your brain or just making a pretty picture. I think the experience of solving has been neglected for too long. I’ve been working with exploration and discovery for a while and puzzles simply feel like a perfect medium for delivering those experiences. You can check out my experiential video series on Youtube and find lots more exploration prompts on my Tumblr or Twitter. If you like my style, please check out my video puzzles! I use them to try out new puzzle techniques, work with different subject matter, and test difficulty levels. I’ve been prototyping these adventure puzzles for nearly a year. I have so many more puzzle ideas that I want to shape, but without my own laser cutter prototyping is difficult and production is impossible. I’m itching to see how far I can push puzzles, but I need your help to take the first step. I have both campaign-wide and puzzle-specific stretch goals! When a certain funding figure or number of backers is passed, a stretch goal puzzle will unlock! When that puzzle is solved, all backers receiving that puzzle will get the stretch goal extra. The stretch goal puzzles will be video, audio, or text and will not require specific prior knowledge to solve—just good sleuthing skills! I will fill out more details about the stretch goal rewards (and hopefully post pictures!) as the campaign progresses. Stretch Goal Puzzle #1 Complete! The first stretch goal puzzle has already been solved! A picture of the keychain decoration will be up shortly! The clues for the puzzle are still hidden on this page. This riddle was the starting point, "It's February and I'm fleeing over glassy waves at glacier speed. I wasn't made for this warring. So I cover my head and slink. Just one of 17,508. What am I?" Go to Update #1 to see the solution, and go to the comment section in that update to see a walkthrough! Stretch Goal Puzzle #2 Solved! Check out the comments to see the solution. Stretch Goal Puzzle #3 Solved! Check out the comments to see the solution. Over the past year, I’ve worked with 5 different laser technicians and gotten the opinions of dozens of others. Through this research, I’ve selected a laser set-up that will cover my prototyping and production needs. The puzzle designs, riddles, hints, solutions, and illustrations are complete, and all the necessary material suppliers are in place. Everything is ready for production except the packaging, which I am developing during the campaign. I’m confident I can produce and ship the puzzles by August 2014. It will take 4-6 weeks for the laser to arrive, and I’ve budgeted a generous 2.5 months for production. If there is anything that comes to mind, any questions, concerns, or feedback, please reach out! I would love to hear from you. Message me through Kickstarter (click Contact Me under my photo on the right) or email rachel@baffledazzle.com directly. Want to learn more? Hear what others are saying? Solve hidden puzzles? Check out these articles and features! I explore immersive experiences and how to create them in a guest post on Across the Board Games. Learn more about how I got into puzzles, my process, and more on PuzzleNation. Check out our feature on Can I Kick It? by JetPackJoust. Noobsource previews Cirkusu from a gaming perspective. PuzzleNation reviews Cirkusu from a puzzly perspective. Board Game Reviews by Josh dives into the Cirkusu solving experience. I talk motivation, inspiration, and determination over on the Happy Mitten Games blog. I explore puzzles' missing pieces and what we can learn from board games over at Unboxed. Across the Board Games delves into why La Plage is a puzzle worth solving. I know that fulfillment is often a source of headaches and long delays for Kickstarter projects. I’ve been managing all fulfillment of semifold (my clothing and footwear company) products for over 2 years now, both domestically and internationally. This experience gives me confidence that I can handle any fulfillment speed bumps we run into. All of the puzzle prototypes were developed on a laser that is similar to the one I will buy. I expect I will need to spend some time getting to know the nuances of my machine and adjusting my cut files accordingly. I’ve built 2 weeks buffer into the delivery timeline to account for this process, as well as any unexpected delays. There may be other little hiccups along the way, it's impossible to foresee everything. I've done everything I can to iron out details before the campaign and feel that my product manufacturing experience has prepared me well to adapt on the go if needed. Thank you for your support! Your reward is my undying gratitude! You'll also be able to help solve stretch goal puzzles as they unlock (since only backers can post comments). A set of four mini-puzzle coasters made of solid walnut and vibrant green, 100% wool felt. Biurko! Nine riddles and dozens of visual solutions with printed riddle, hint, and solution to guide you through the puzzle. Cut from stained, solid Maple. Lucharán! Twelve luchadore wrestling masks with printed riddle, hint, and solution to guide you through the puzzle. Cut from stained, solid Maple and acrylic. Cirkusu! Seven games from around the world with a printed riddle, hint, and solution to guide you through the puzzle. Cut from solid Cherry. Ozuzo! Fourteen animals sporting beautiful coats with a printed riddle, hint, and solution to guide you through the puzzle. Cut from Maple and stained Maple. La Plage! Four iconic figures with a printed riddle, hint, and solution to guide you through the puzzle. Cut from solid Blue Pine.